This is the HIGHEST edition available of "Tinker Bell and Peter Pan Fly to Neverland"
Thom has placed a total of 25 N’s in Tinker Bell and Peter Pan Fly to Neverland as tribute to his love for his wife Nanette, as well as in celebration for his 25 years as a published artist. The clock tells the time of 8:02 — in the movie when Peter and the Darlings land on Big Ben, it is 8:04 — but Thom took artistic liberty and changed it in celebration of the year he and Nanette married: 1982. Take a look at the upper left of Tinker Bell and Peter Pan Fly to Neverland and you will see Neverland, complete with an Indian encampment, Captain Hook’s pirate ship, the Mermaid lagoon and more! 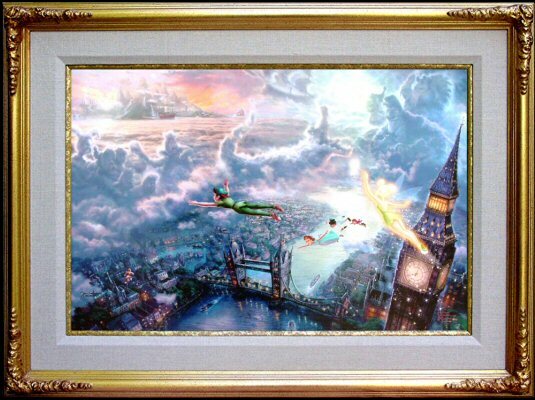 Thom has created another Disney Dreams Collection narrative panorama — going beyond a single scene and telling the whole story through his inspiration from the original Disney sketches that the 1953 movie was based on. The sailboat on the horizon is a tribute to Walt Disney himself. 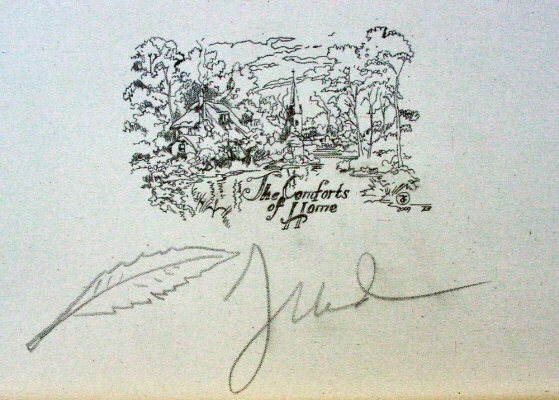 Walt loved being on boats – and Thom imagines that Walt is on this ship, sailing off on new adventures beyond Neverland! 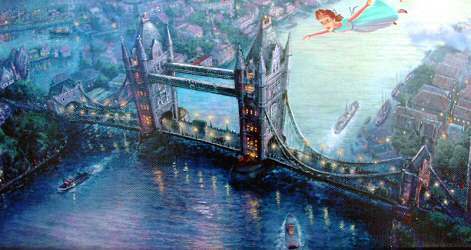 Remember in the story that as the children return to London they look back to find the sailing ship “disappearing” in the clouds? 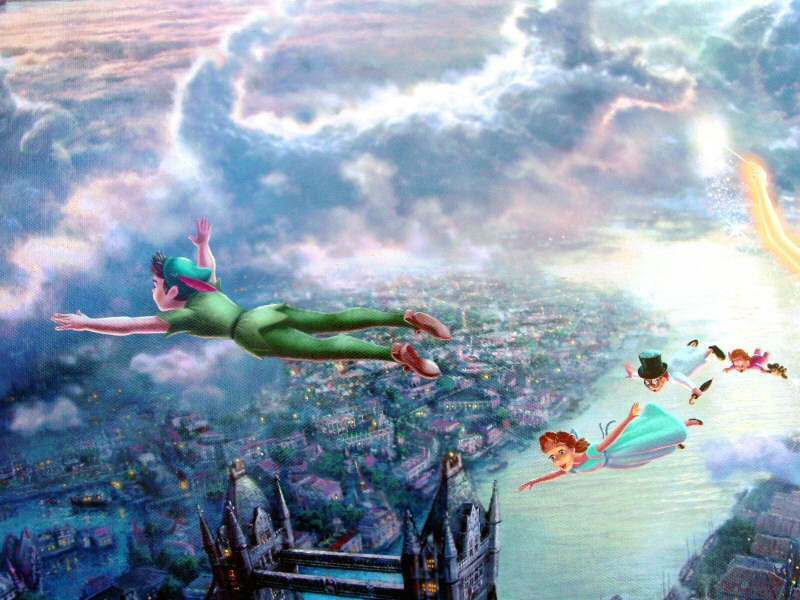 What and who else are hiding in the clouds in Tinker Bell and Peter Pan Fly to Neverland? Can you find Captain Hook, Smee, and the Lost Boys? Do you hear the Crocodile ticking? There’s also a tribute to the two previous Disney Dreams Collection “stars”! Can you find Snow White and Pinocchio? ++++ Studio Proof Gold Museum Quality Frame INCLUDED ~~ ready to hang!